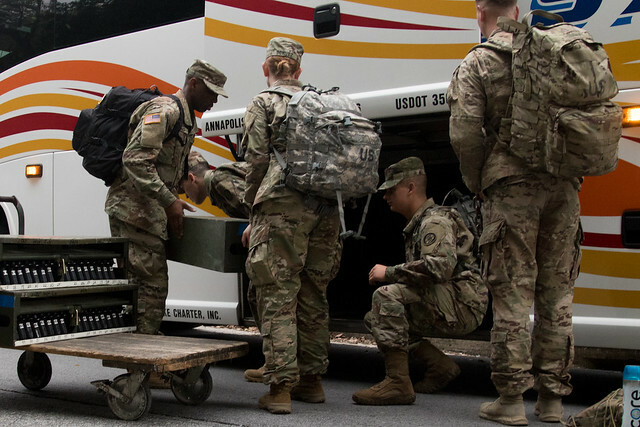 Nearly 100 members of the 200th Military Police Company, Maryland Army National Guard​ deploy to the U.S. Virgin Islands from Catonsville, Md., Oct. 23, 2017. The unit is deploying up to 30 days to provide additional security to the U.S. Virgin Islands as a result of hurricane Irma. They is replacing a Kentucky National Guard Military Police unit. The state of Maryland is providing this support in accordance with the Emergency Management Assistance Compact. EMAC is a national mutual aid and partnership agreement that allows state-to-state assistance during governor- or federally-declared state of emergencies.